Ziad Ghaith, the new GSA president. A desire to change things for his fellow students initially attracted Ziad Ghaith to the Graduate Students’ Association (GSA), and that will to help others kept him on the executive for another year as president. 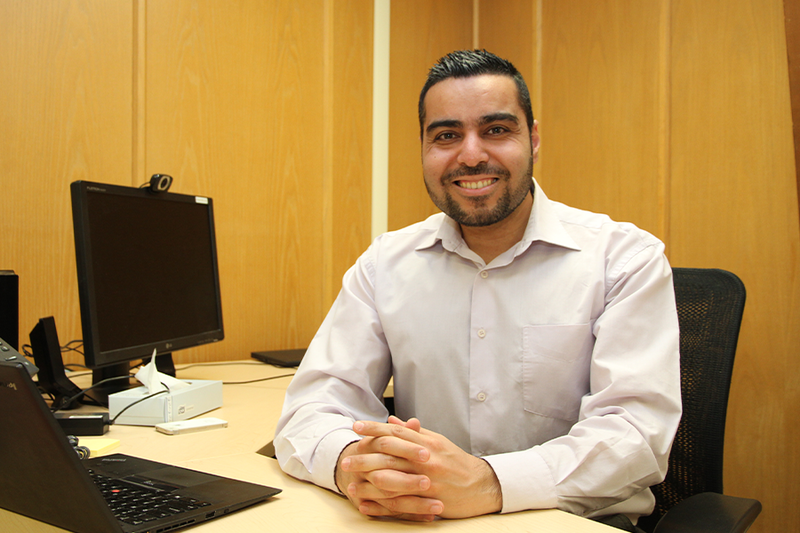 "I have a real passion to help my peers achieve their goals, academic and non-academic," said Ghaith, a PhD student in the Department of Bioresource Policy, Business and Economics in the College of Agriculture and Bioresources. Ghaith served as the VP operations from 2015-16, during what he called "the crazy year." At the time, the GSA's goal was to rebuild trust among its members, and "to some extent, we achieved that," he said. The executive also began further planning for some longer-term strategic goals, which appealed to Ghaith. "At the end of the year I realized there were still quite a few things that I hadn't yet achieved," he said. And so he set his eyes on the presidency, and ran uncontested in the April election. One of those initiatives he is looking forward to involves increasing the number of graduate students within university governance. Ghaith explained that the policies regarding committee representation were drafted when the graduate student count was less than its current number of about 15 per cent. "We, as graduate students, are underrepresented in different university committees—important committees," he said, adding that graduate student voices are crucial to the university. Another goal is to assist with promoting the university's Aboriginal engagement initiatives. "We were really motivated as a team last year to assist the university in achieving their vision of indigenization," he said. "One of my goals is to continue pushing this forward and help to make the GSA a leader and an example." He will also investigate the many challenges international students face, such as paying higher tuition fees than their Canadian counterparts. While these are some big goals, Ghaith believes they are sensible and achievable in due time. "I'm not going to achieve this in one year, but I'm going to begin the process, I will plant this for next year's executive, and the year after that, and so on," he said. Originally from Palestine, Ghaith completed his master's degree in Greece, which is also where he met Richard Gray, a faculty member in the College of Agriculture and Bioresources and came to know about the U of S.
When it comes to the delicate balancing act of serving the graduate student body and completing his studies, Ghaith remains focused and organized. "I try to work during the day on my academics, and start my GSA work around 2 pm or 3 pm every day," he said. This is hard work, but he would not have it any other way. "It's very challenging," admitted Ghaith, "but when you have a passion towards something, everything is doable."